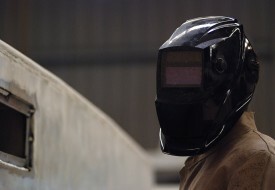 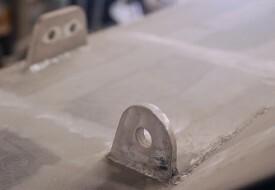 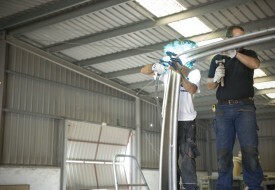 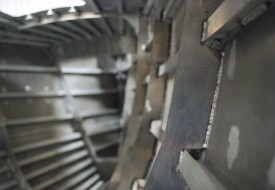 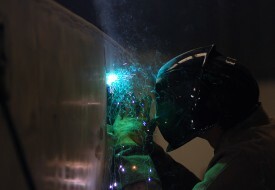 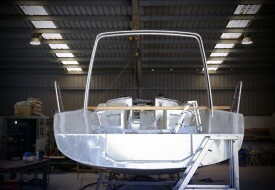 A robust but lightweight construction, thanks to the advantages of aluminium. 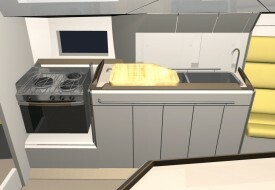 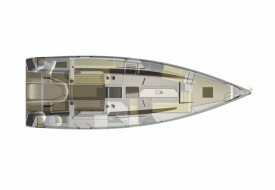 Simple deck layout with a safe and comfortable forward area and all manoeuvres sent back to the cockpit. 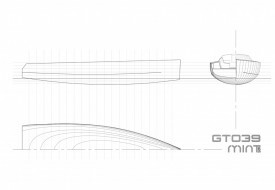 The Gto39´s hull lines guarantee downwind planing. 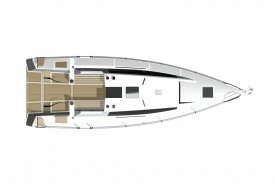 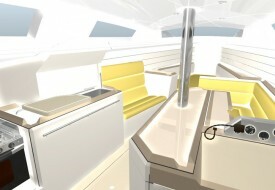 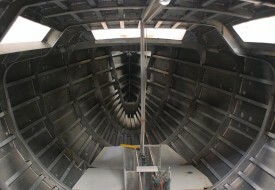 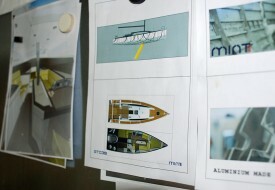 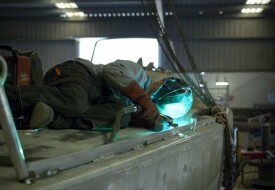 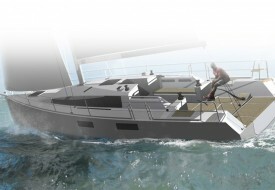 The evolving chine allows to keep the power of a wider hull still maintaining a reasonable beam. 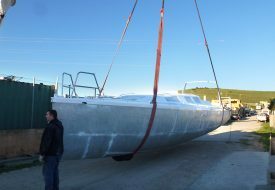 The deep draft lifting keel gives you that extra power and performance when sailing upwind. 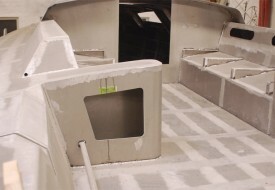 Twin rudders for a perfect course. 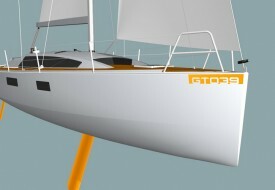 The reduced weight allows for performance under all sailing angles. 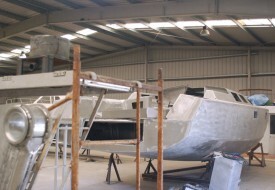 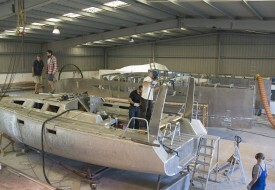 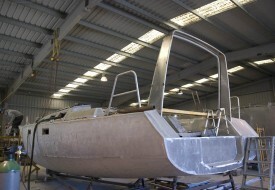 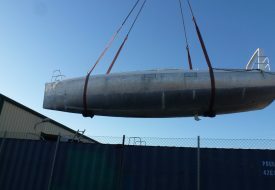 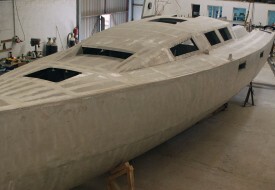 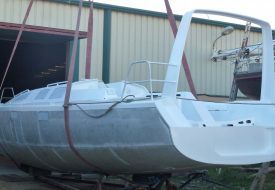 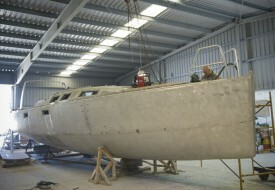 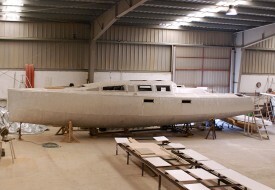 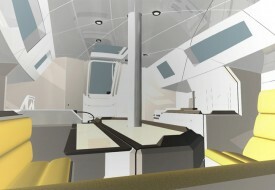 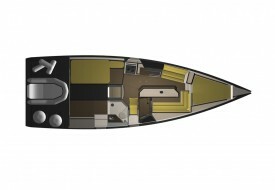 The garage allows to fit the inflated dinghy under the cockpit, with a wide swim platform, ideal for the coast sailing. 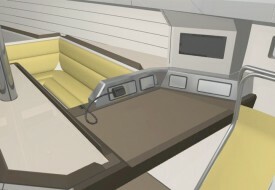 The spacious cockpit with room for a crew of eight in the forward area keeps the manoeuvring area free. 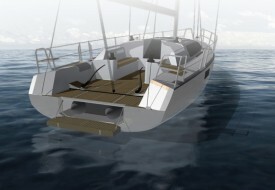 Bright and stiff under sail, perfect for bluewater cruising.